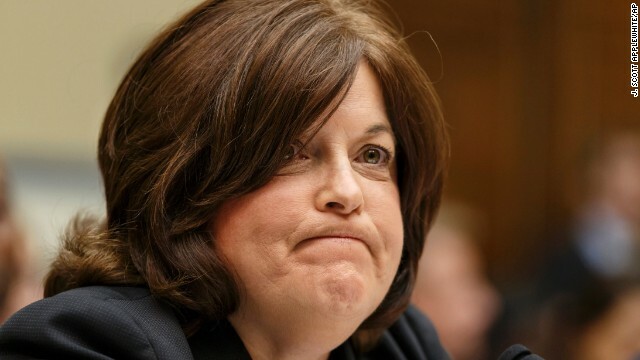 Washington (CNN) - There had been "growing concern" about former U.S. Secret Service Director Julia Pierson's leadership in the two weeks since a man with a knife managed to jump the White House fence and get into the East Room, a source tells CNN. But the "final straw," the source said, was that she and the agency did not inform the president about a September 16 breach at the CDC in Atlanta - in which a private contractor who had a concealed gun shared an elevator with President Barack Obama - until just before the media reported it on Tuesday afternoon. "The problems about the elevator breach were a) that it happened, b) that no one told the White House about it in the midst of two weeks of many discussions with them about security and then c) that the president didn't find out till just before the media was about to report it," the source said, agreeing that "final straw" would be an apt description of that event. The source, who spoke to CNN anonymously so as to speak more candidly about sensitive events, said that there was every reason to believe Pierson and Secret Service leadership took the September 19 fence jumper incident "very seriously," though White House officials were not pleased with how facts and details about that incident kept changing, both in public media accounts and to them privately. That, however, could be explained and understood, the source said, given the "fog" of conflicting accounts inherent in such an intense and adrenaline-filled event. There was no such understanding about why, two weeks after the September 16 elevator incident at the CDC, the President was not informed until just before the Washington Examiner and Washington Post were prepared to share details of that event with the world. There was no going back; she had lost Obama's confidence that she was the right person to run the agency. On Wednesday, Homeland Security Secretary Jeh Johnson said he had accepted Pierson's resignation and was appointing an independent panel to investigate the White House breach. Presidents are loath to publicly criticize the Secret Service for fear of straining any relations with the agents who keep them alive and protect their loved ones. So perhaps it was left to Senate Majority Leader Harry Reid, who told reporters in Nevada on Wednesday, "I am just so disappointed in what I've seen. I can't imagine being a father of two girls and seeing this happen in my home. I'll bet Michelle is just beside herself - they are so protective of those two girls. So I can't be a cheerleader of the Secret Service today."